We are thrilled and honored to be hosting Piccard at our ranch! Carefully bred and selected by Aero Ranch, this male has EVERYTHING we are looking for in our breeding program! Incredible, uniform fleece with a hand to die for, and phenotypically correct in every way! 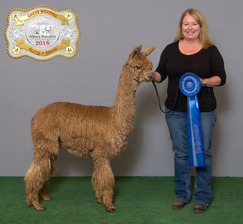 Nattalea is confirmed pregnant to 2 X judges choice winner, Sir Oliver Twist of WAP for a spring 2019 cria! 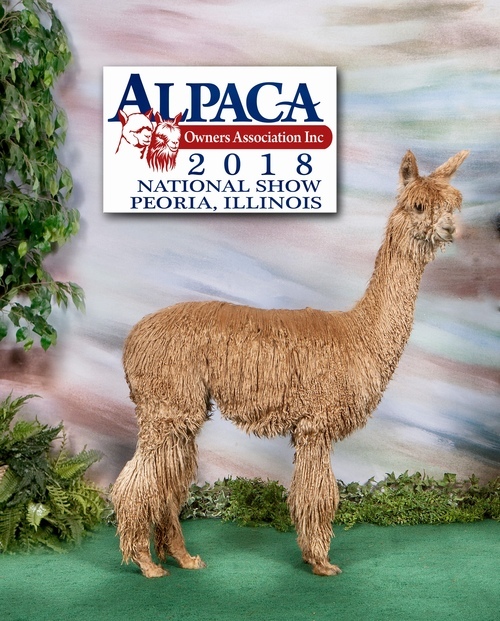 She has been leased by Angel Dreams Alpacas. OOO LALA! Ask for Price Don't miss out! This young male has a lot going for him! 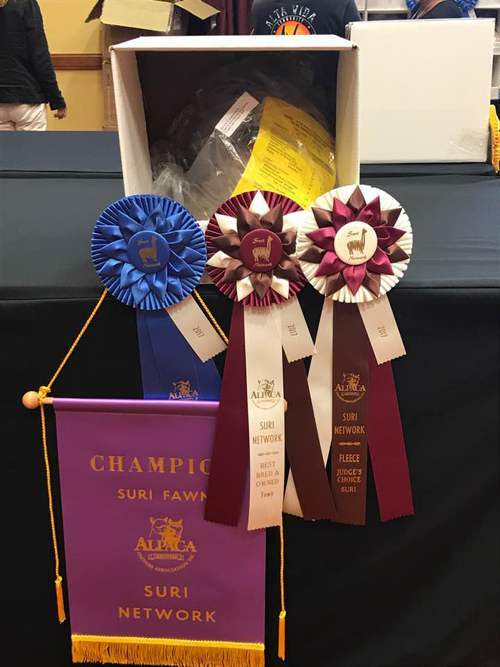 Already a 7 x Champion and Judges choice winner! 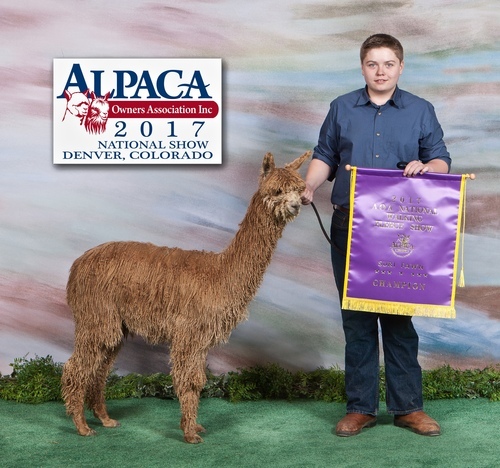 We bred Indi's Dam to Aero Ranch's Auguste Piccard, one of the Last Inca sons still breeding, hoping to get exactly what we got... Indi! His luster is off the charts, his hand amazing, and his regrowth remarkable. 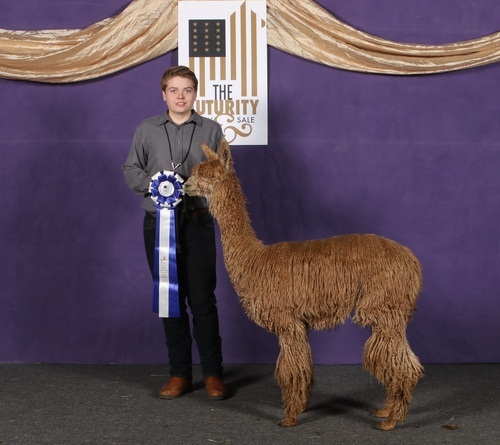 We cannot say enough about this future herdsire. He has a remarkably soft handle! And even in the dustiness of late summer, he was still lustrous with amazing lock structure! He makes a great impression! We are looking for the right ranch who value these traits to partner with us with this beautiful male. You won't regret it! 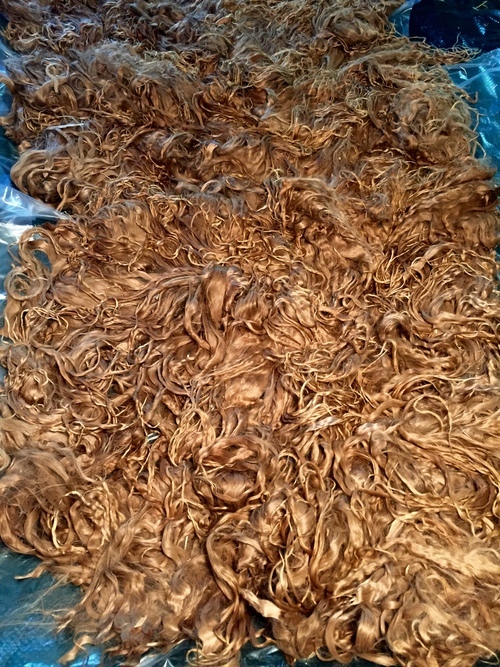 Good density and excellent uniformity both between and within each fiber population.